Video Downloader is a free web application that allows you to download videos from sites like YouTube, Facebook, Twitch.Tv, Vimeo, Dailymotion and many more. All you need is the URL of the page that has the video you want to download. Enter it in the textbox above and simply click 'Download'. 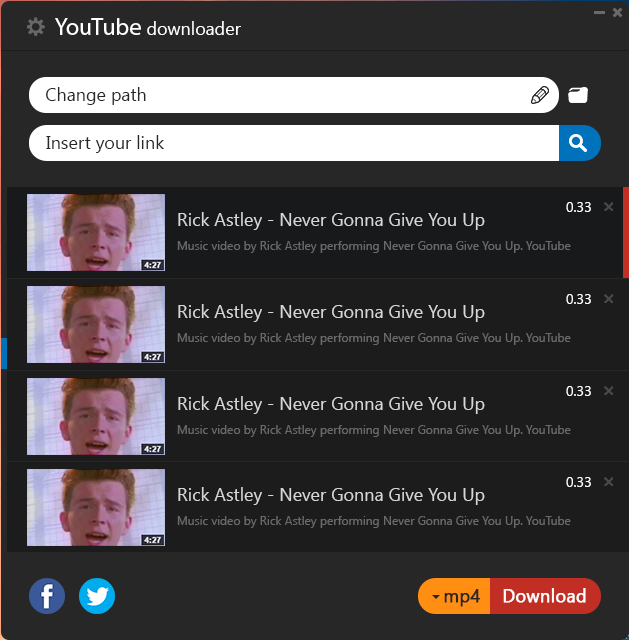 Youtube video downloader will then fetch download links in all possible formats that the particular site provides.